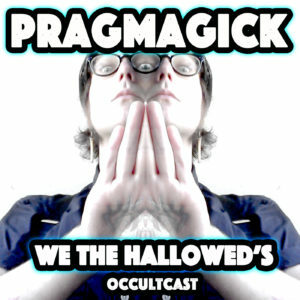 Travis Keats Ross is a journalist, writer and host of the occult/art podcast PRAGMAGICK. He composes and releases music as DAKOTA SLIM, REVEL ROSZ, and SPARE SPELLS. He is ordained as REVELATOR to the "open-source art religion" WE, THE HALLOWED in Portland, OR. VORTEX MUSIC MAGAZINE premiered the new DAKOTA SLIM video for “NIGHT THIEF” (off 2018’s CACTUS CROWN) hand animated by LOGAN FORD / GNAR ILLUSTRATIONS produced through W†H. Ford’s talent for hand animation is evident in the video for “Night Thief,” a cut off Dakota Slim’s July release, Cactus Crown. The meticulous nature of hand-drawn animation is amplified here by how well the visuals line up with the music. As a saxophone wells up, flashes of otherworldly light dot a mountainous landscape; one of these flashes eventually takes a lasting form to destroy the forest in the foreground. Against soft, spooky vocals, orbs descend to the earth and take the forms of predator and prey. Staticky percussion punctuates changes in color and form, and just as a canine creature is about to overtake a rabbitlike animal, their forms are all but obliterated as the lyrics come to a close. Here’s a brand new song from the long slumbering Slim as he continues the construction of a new e.p. (CACTUS CROWN) and progress on the comic book/record remains steady! Please visit THE REVEL REVIVAL for all projects concerning Revel Rosz (Travis Keats Ross) henceforth! And of course, be sure to leer at WE THE HALLOWED for major news on the art collective/ religion Slim cotton’s to.